Ja, den røde sirkelen er USA. Ja, de to kryssene helt til høyre er Norge og Luxembourg. Og ja, det er en veldig høy R2. Justin Bieber og helseøkonomi………At det var? Helseøkonomi | Moral Hazard – Hva er det? En primer for alle. Vi følger The Incidental Economist (Austin Frakt) og hans introduksjon til helseøkonomi. Alle begrepene han tar for seg gjelder også for den norske sektoren, men i mindre grad. 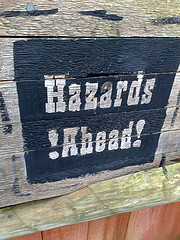 Vi har andre problemer enn USA, men du vet, ‘knowledge is power’: Hva er moral hazard? Simply put is an ongoing series. See the introduction for an explanation of the series and the full list of topics that have been or may be covered. Feel free to suggest other topics in that post. We buy all things that are worth more to us than we spend (of our own money) to obtain them. When someone else is paying the bill (or some of it), we’ll buy even more stuff because the amount of our own money we must spend to obtain it is even further below the value of the stuff. This is intuitive. The less something costs us, the more we’ll buy. That’s why we use more health care when we’re insured. Some people call this ‘moral hazard,’ but that’s not quite right. I’ll explain. In the background, no matter who is paying for health care, we each have a valuation of it, a measure of its worth in dollars. That is, for any health care service, there is an amount of our own money we’d spend for it and no more. At some price we’d rather have the cash. If it weren’t so impractical health insurance (public or private) could function this way. For every health event the insurance company (or government program) could give us a wad of cash. Then we could decide if the health care we could buy for that amount was worth it. We could decide to keep the cash. There is some amount of money for which you are indifferent to having the cash or having your sprained ankle examined. That’s your valuation. The way insurance actually works is that we either see the doctor or get nothing (no cash). If we see the doctor our insurer pays something to the doctor for it, and we pay a little too (a copayment–I’m ignoring deductibles for the moment). Is the insurer spending more than the amount we’d accept to not see the doctor? That is, is the insurer paying a price above our valuation of the health care we receive? If so, that’s a ‘moral hazard’ effect. We’re using care that costs more than we think it is worth. That’s what moral hazard means, when applied to health care. In some sense the insurer is getting ripped off. It could have made us happy by spending less, giving us an amount of cash that is one penny above what we think the health care they paid much more for is worth. This reflects an information asymmetry–something we know that the insurer doesn’t. It doesn’t know our private valuation. Very often people say that all care that is used by the insured that wouldn’t otherwise be used in the absence of insurance is ‘moral hazard.’ But that’s not right. That would imply that care you couldn’t afford without insurance but think is a great value is moral hazard care. It means that nearly all the care that people with low incomes on Medicaid receive is moral hazard care, yet people who are wealthy who receive the same procedures through private insurance (that they could afford anyway) is not moral hazard care. In other words, moral hazard is sometimes confused with an income effect and income transfers (or the effect of in-kind transfers). It really has nothing to do with it. Moral hazard is really about the insurer (public or private) overpaying for care because it lacks the information to do otherwise. Another way ‘moral hazard’ is abused is by conflating this ‘overpayment effect’ with ‘care that doesn’t improve health.’ The two concepts are totally unrelated. There may be, and likely are, health improvements derived from care that costs more than you or I would pay out-of-pocket. Just because I’d forgo the care for a wad of cash lower in value than the cost of that care doesn’t mean the care isn’t good for my health. Not all of it may be, but some of it likely is. The real problem as it pertains to health is not ‘moral hazard’ per se, but distinguishing between care that is health improving and care that is not. Even if moral hazard did not exist–because the insurer paid exactly what we would out-of-pocket for the care–that problem would remain. Newhouse J. Pricing the Priceless: A Health Care Conundrum. Chapter 1. Nyman J. The Theory of Demand for Health Insurance. Santerre R and Neun S. Health Economics: Theories, Insights, and Industries Studies. Chapter 6.